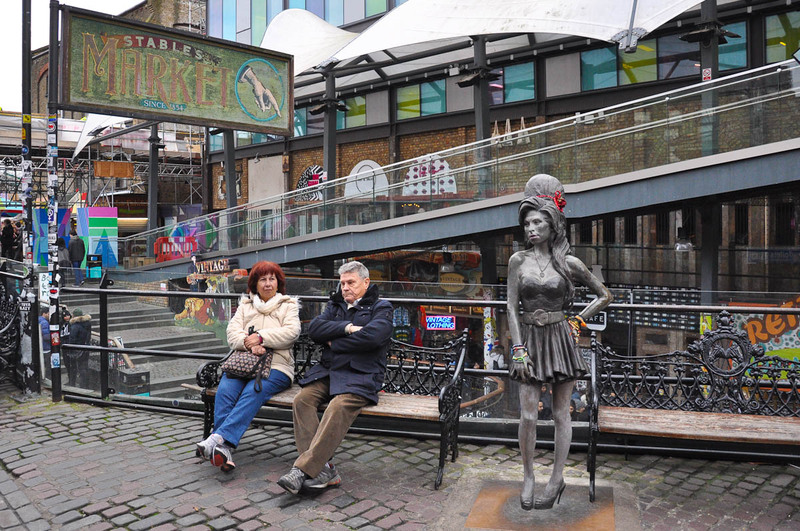 When you are tired of all of London‘s sights, museums and landmarks, there is a place you need to go to find your mojo back. 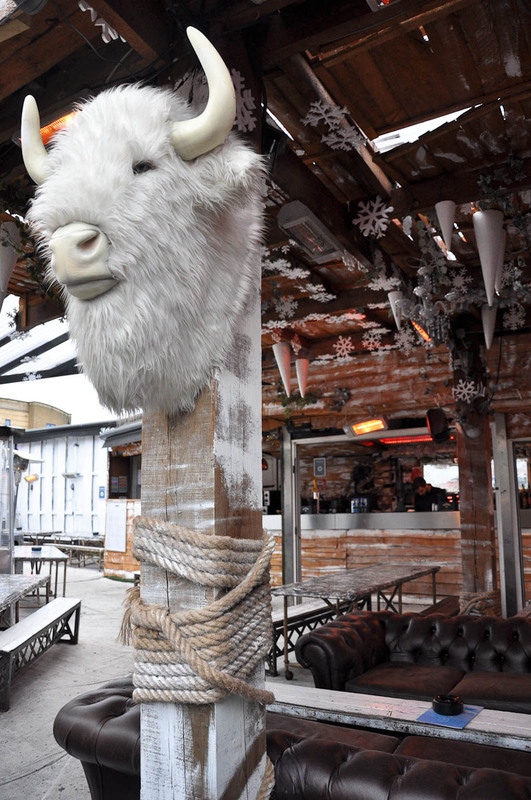 It is wild and edgy, unconventional and strange. 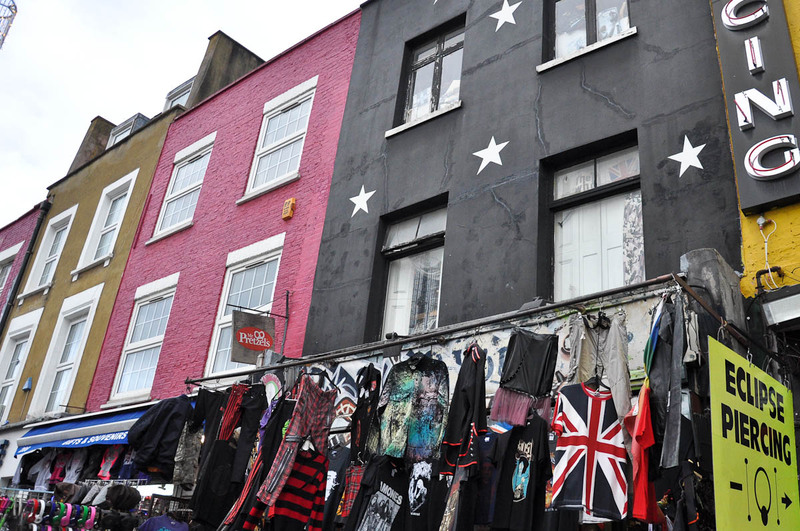 It is also of historical significance to music and alternative movements in Britain. And, in all honesty, nowadays it is quite commercialised. 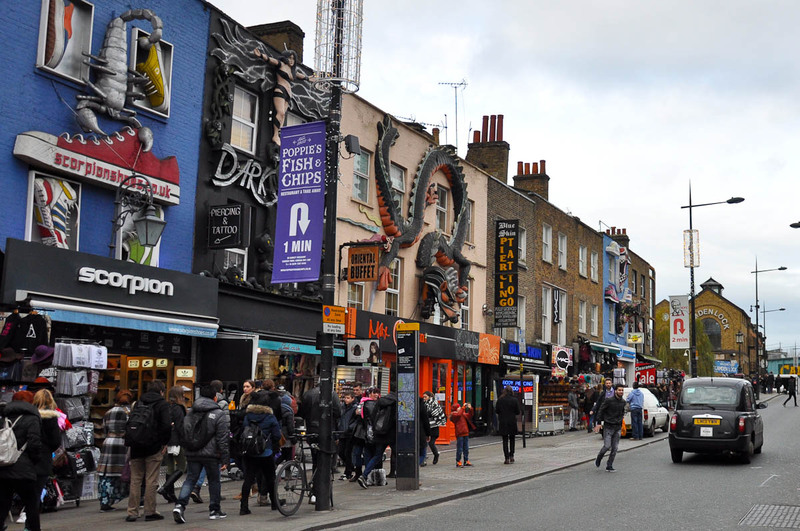 This is Camden Town – a conglomeration of markets, pubs, eateries, fashion labels, clubs and studios (of the tattoo and the music kind). 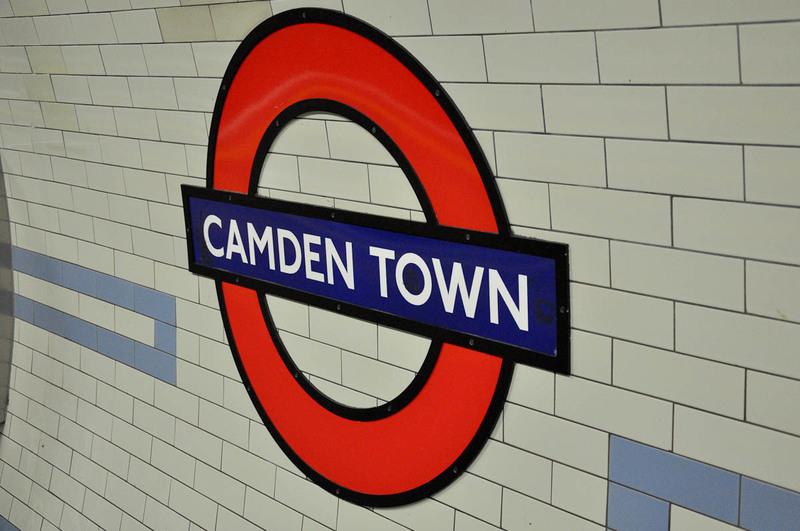 The home turf of MTV Europe and the stage of the Camden Ripper – one of the most gruesome serial killers of modern times. 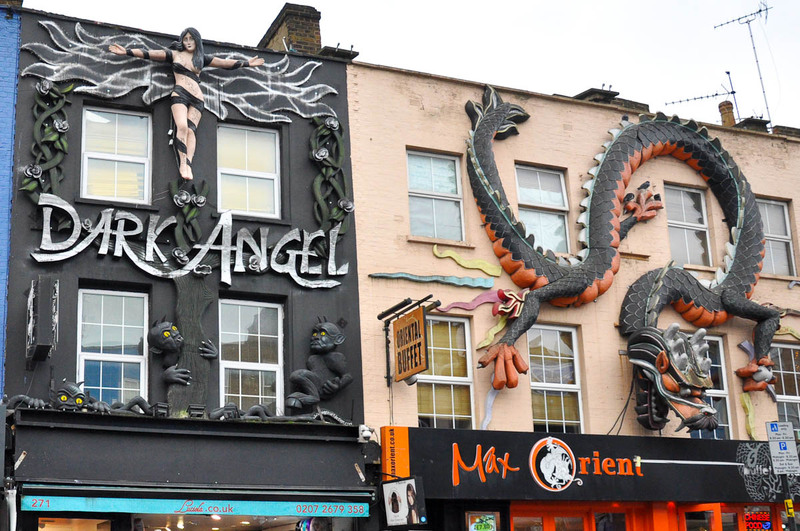 Visiting Camden Town is like a coordinated assault on all senses. Not recommended to the ones faint at heart, balking at large crowds or unable to make decisions fast. You can easily spend a whole day there eating and shopping the hours away or plan a short and sweet visit taking as much as you can manage in and then swiftly retreating before you burn out with all the craziness of the place . 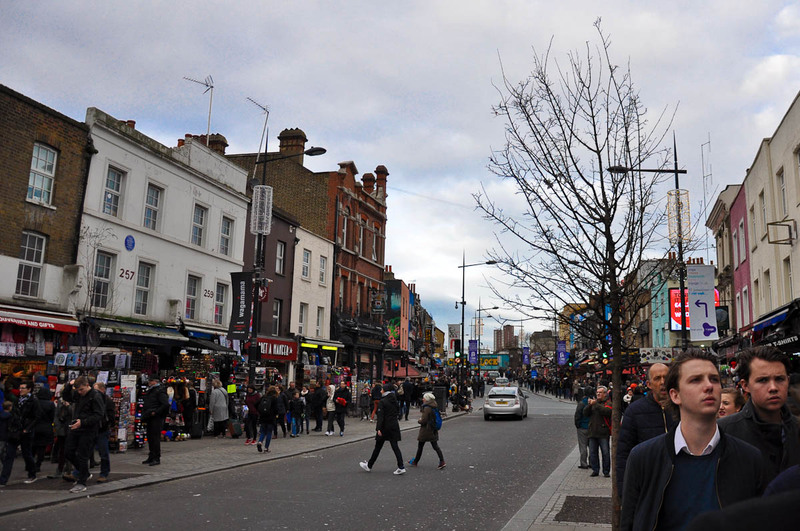 Crowds stream to Camden Town on any day of the week, but they are at their densest on weekends and around major holidays. So, when I visit the day before New Year’s Eve, I find the place just as busy, colourful and chaotic, as I remember it from ten years ago. As soon as I get off the train at the tube station, which looks a bit small, drab and old-fashioned, the human hubbub engulfs me. 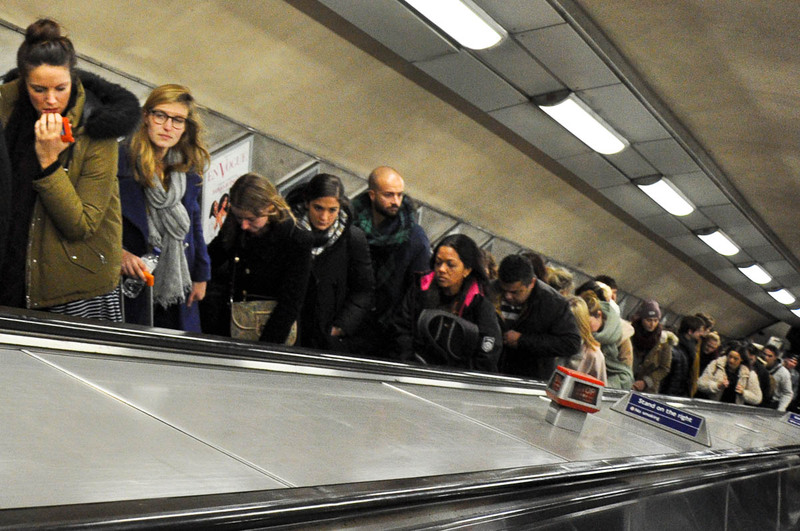 Soon I am tightly packed among the tourists and the regulars all the way up the single narrow escalator which transports me back to ground level. There is no shoving and pushing though, just a large crowd of people eager to have a good time. 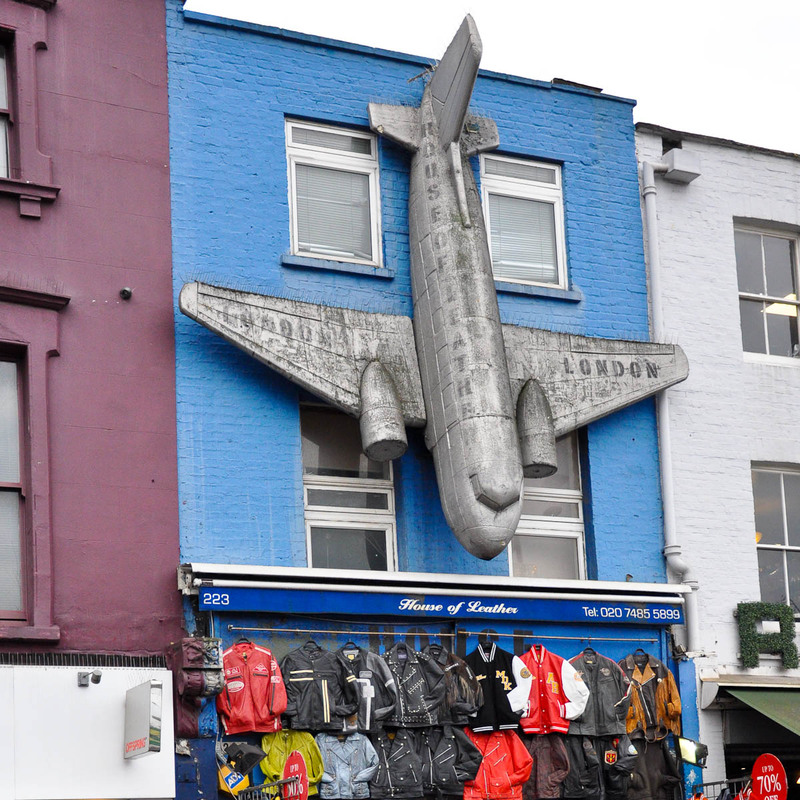 I squeeze through the gates of the tube station and here it is – the most alternative high street in the UK. 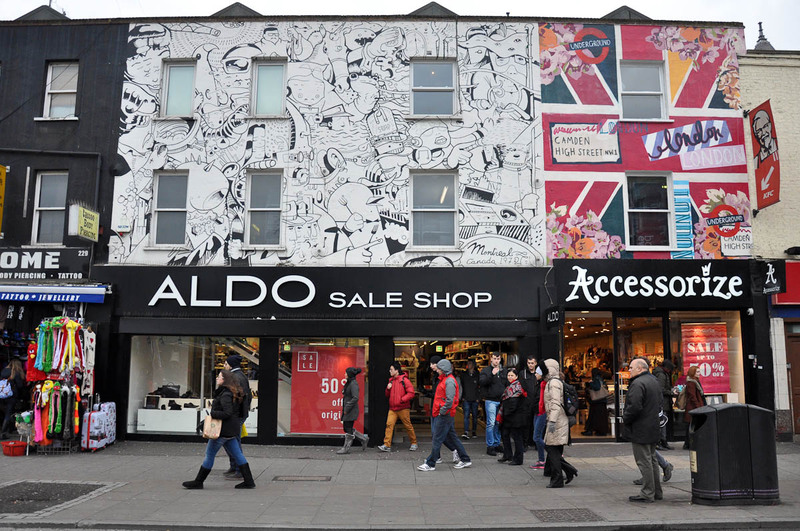 Branches of retail chains alternate with independent shops selling anything and everything from leather jackets and cheap London souvenirs to spiky punkwear and shoes with platforms which are inches deep. Much more spectacular than the merchandise though are the building frontages. 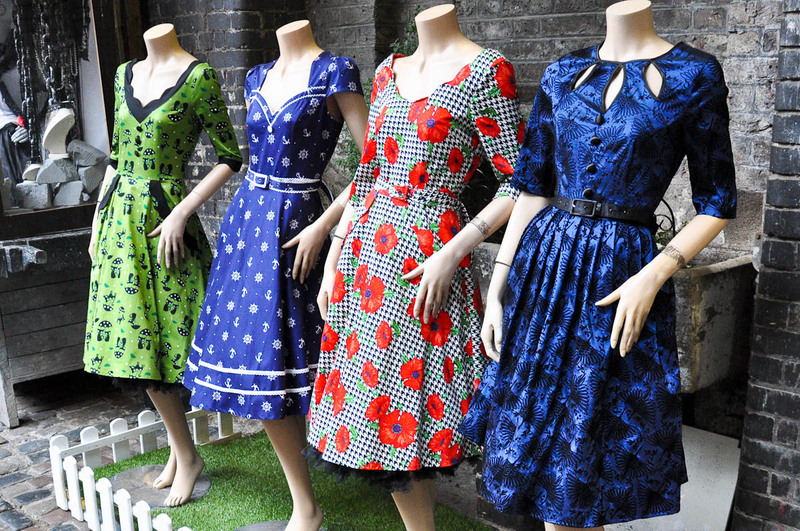 They are either painted with evocative patterns, or colour-blocked. 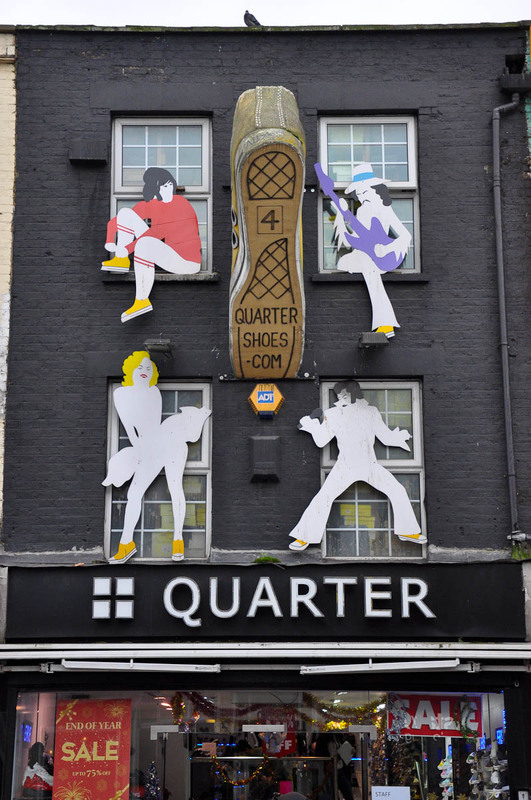 Large figures, each several metres long, hang above the shops. A plane, a dark angel and a dragon to mention but a few. Just when I think that I have seen it all, I spot a huge sport shoe surrounded by popular culture icons striking archetypal poses. Straight after I leave the tube station and to my right-hand side, I see Camden Market, but today due to time constraints I cannot stop and have a look. 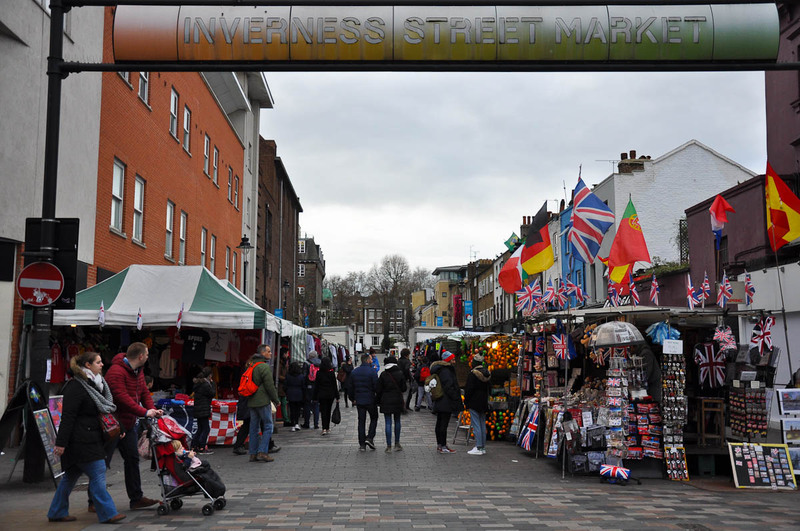 Same applies to Inverness Street Market, which I glimpse just opposite, on my left-hand side. The stream of people is constant and compact. Double-decker busses, black cabs and cars zoom past. There is chatter, there is noise. Music booms out of open shops. There are overwhelmed tourists and hardened locals. From previous experience I know that the easiest way to advance on the crowded pavement is to never stop moving whilst making use of any gaps that suddenly open between the human throng. It is a bit like people surfing – spotting how the wave of human bodies moves up and down the street and making sure that I catch it swiftly to get ahead, instead of getting stuck behind a group of people who are too gobsmacked by it all to actually walk. Sometimes, zigzagging is the quickest way forward. So, I make a good progress. 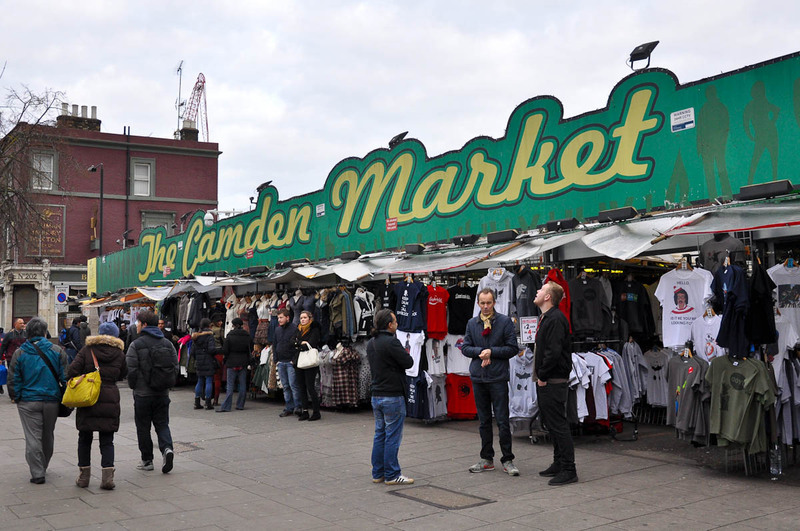 There, just at the top of the high street is my destination – the iconic Camden Lock Market followed by the labyrinthine Stables Market – the two places which most often are equated with Camden Town. 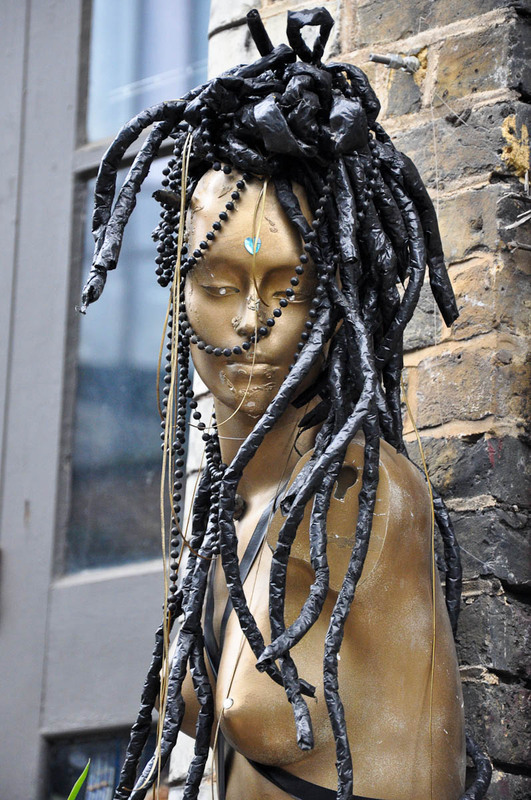 Set up in 1972, Camden Lock Market styles itself as the first arts and crafts market in London, which patronises artists and makers and offers them a non-expensive way to bring their wares to the public. 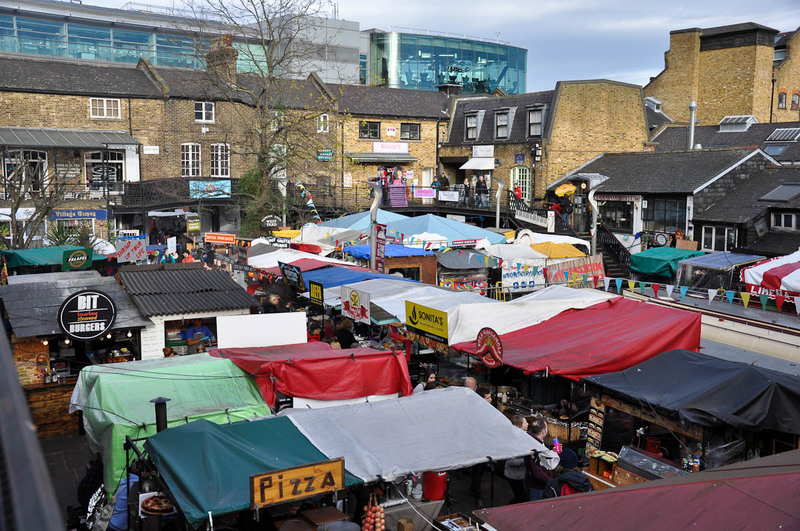 The market has an outdoor and an indoor part and is right by the Regent’s Canal. In fact, if you are lucky, you can see the lock being opened to let a barge through. It is quite the spectacle! 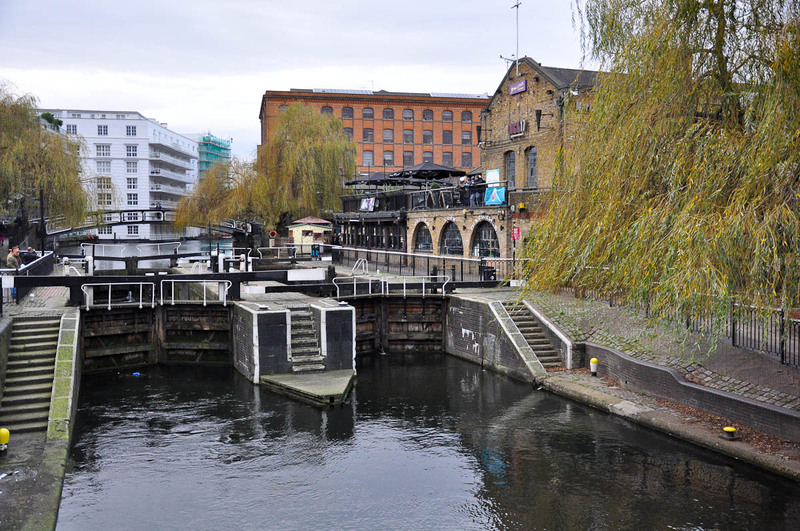 As the water levels in the different parts of the canal differ, opening the lock allows for them to balance out and after that the barge makes its way through. 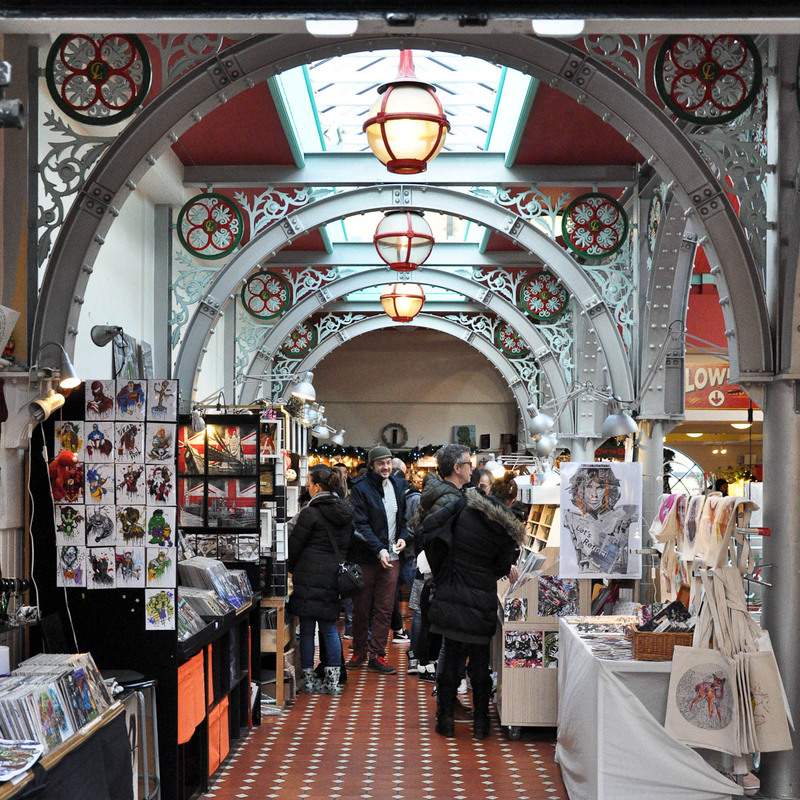 The lock is firmly shut when I visit though, so I don’t waste time and follow the dense crowd into the market hall. 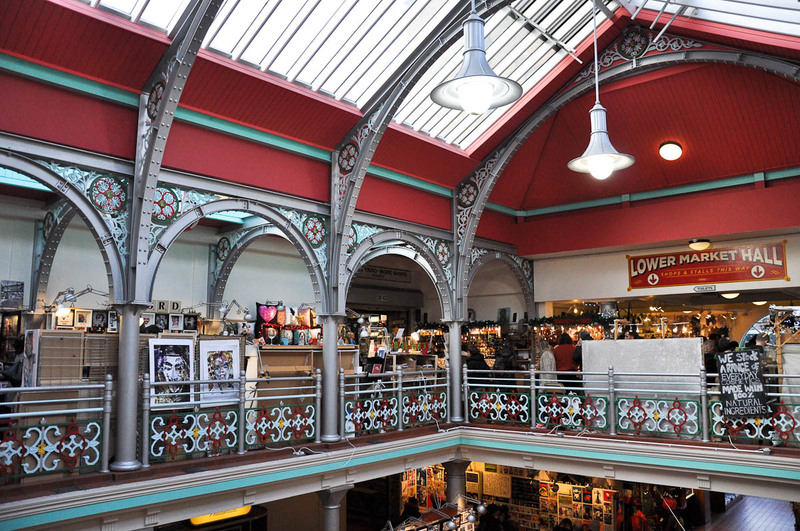 The market hall is a big and beautiful building, very Victorian in its architecture and feel, so people are usually surprised when I tell them that it is only about 25 years old. It looks like it has been recently refreshed, too, with the wrought iron motifs painted red and green. 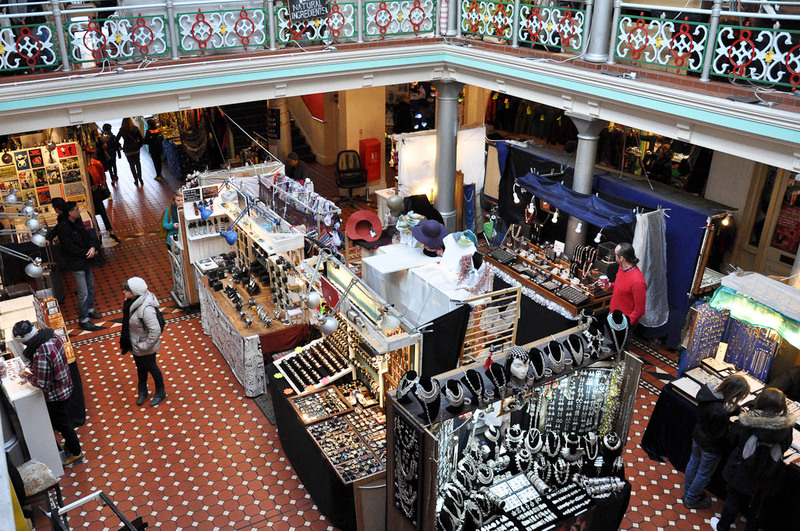 Rows of stalls line the upper floor. Some stallholders are doing a brisk business whilst others have that recognisable look in their eyes which says: ‘I am not making any money! Please, help!’. It is really interesting what sells at such art and crafts markets, what becomes a money-losing machine and what just limps along, selling a bit every day just to give its respective stallholder hope that as long as he sticks with it, it will sooner or later become a real hit, which it actually never does. So, stallholders constantly try to find that super product, which everyone will want to buy. I look around at the stalls. There is the usual mixture of candles, soaps, prints, cushions and lots and lots of jewellery. There are stalls where the stuff sold is clearly made by the stallholder and there are stalls selling stuff made thousands of miles away. 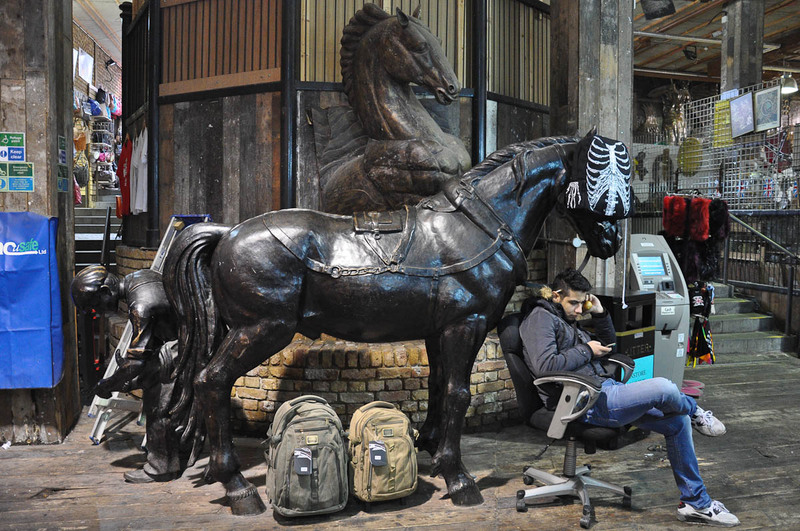 There are some novelty items, but all in all, the impression created is one of uniqueness – like, you feel that you are at this amazingly creative place with one-of-a-kind products which are so original and cool. I walk a bit around the market hall. It is like a little maze with doors opening in different directions taking you from the main space to side rooms and then it leads you to a wooden veranda outside. There are steps taking you down to ground level, but instead I follow the veranda, which bends around a large courtyard allowing me to observe the action there from above. The whole courtyard is full with food stalls. Any and every world cuisine you can think of, is seemingly represented. 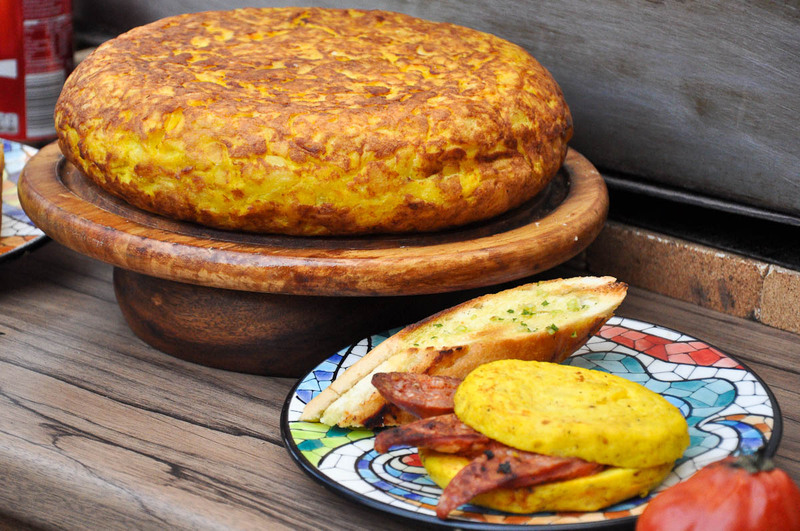 From cupcakes, pizza and pancakes to curries, fresh salads and even burgers in a tortilla instead of a bun. The choice is yours. It’s almost lunchtime and people move from stall to stall, clearly unable to chose what they want. There is so much on offer and everything looks absolutely delish. 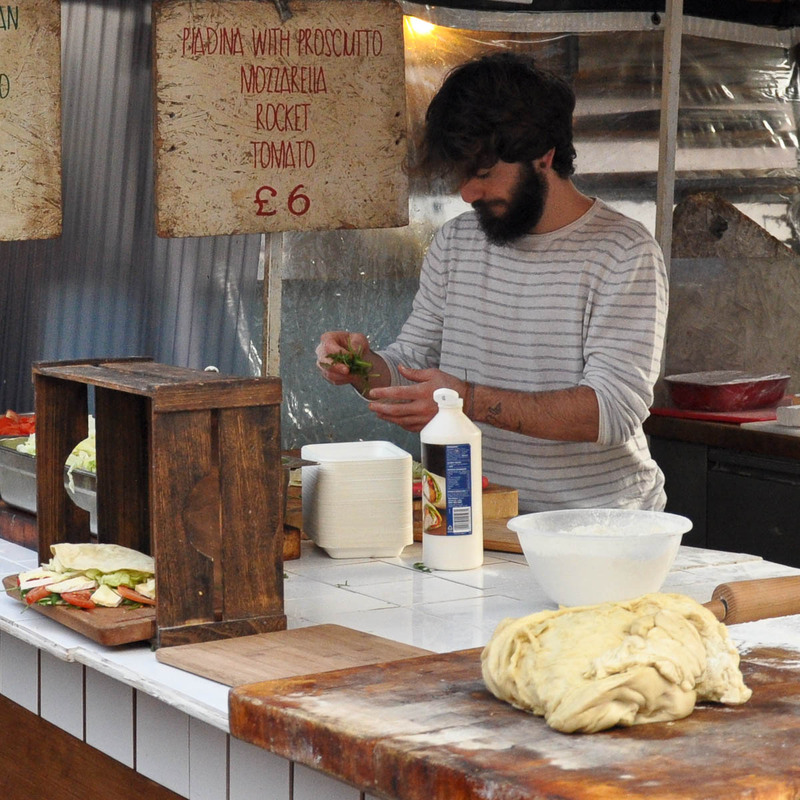 Aiming to show how food is prepared freshly on site, stallholders are busy kneading dough and sprinkling herbs. 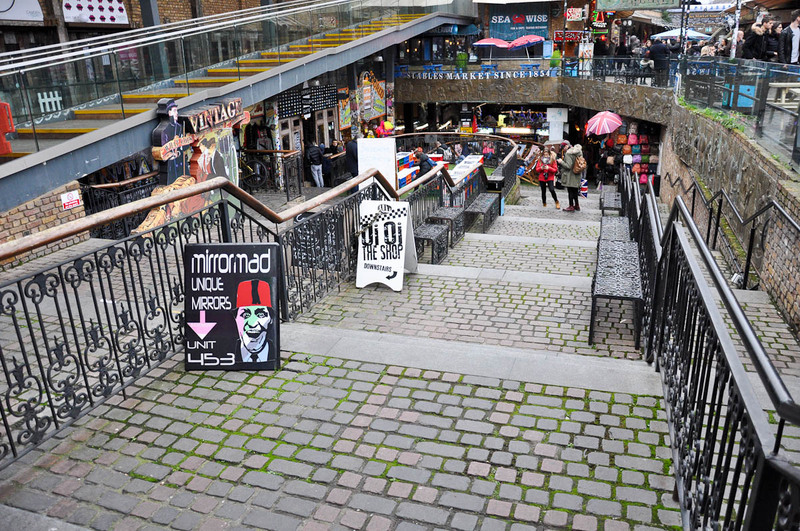 I think that nowadays what makes Camden Lock Market such a great spot is definitely the variety of food. You can visit with friends and each of you can have exactly what you want. 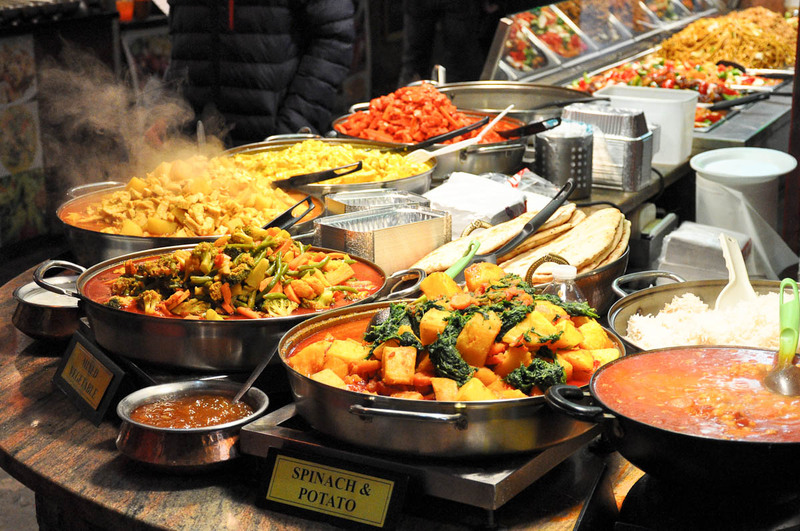 It makes for a cheap, yet very satisfying lunch and you can pick a starter, a main and a dessert from different stalls to maximise your flavour choice. From the food courtyard, I walk back inside the market hall. I have a small personal business to attend to. 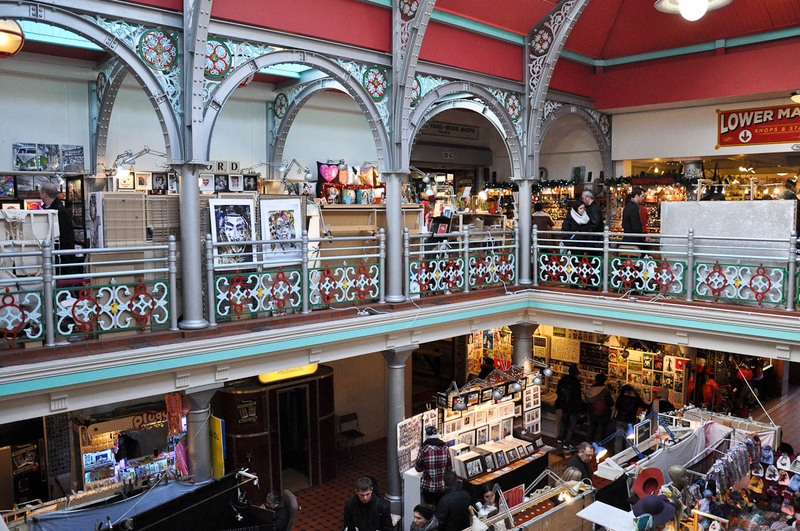 I stop by the railings of the upper floor and look at the stalls below me. Just there at that very spot used to be my stall. Yes! Ten years ago, I used to have my own stall in this crazy and wonderful environment. Oh, the stories I could tell you about it all. I was very interested in jewellery and wanted to start my business importing Venetian glass pieces and Mexican silver to sell. My first idea was to have an online shop, but I was quoted a huge amount of money by an established developer to create one for me. Basically, it was either I had enough money to buy my first batch of products, or not enough money to pay the developer. 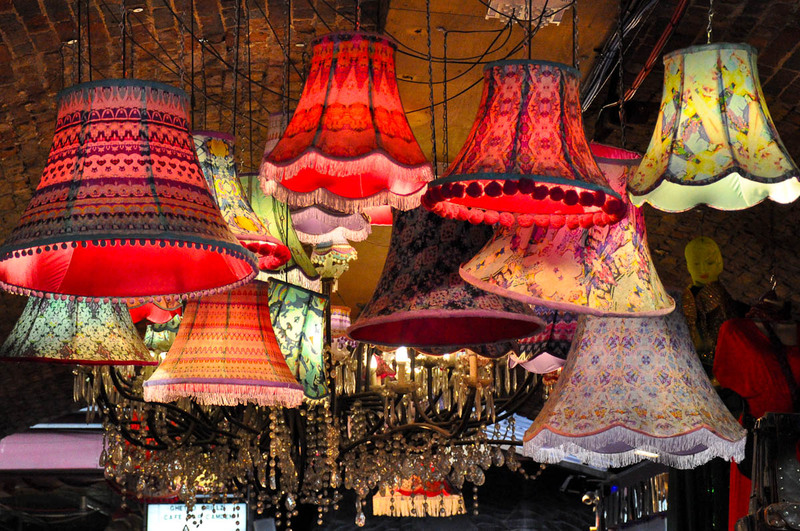 So, after some thought, I decided to apply for a stall at Camden Lock Market and see if my business was viable before investing even more in it. I ran my stall every weekend for two years. It was very hard work. A very interesting experience nevertheless. 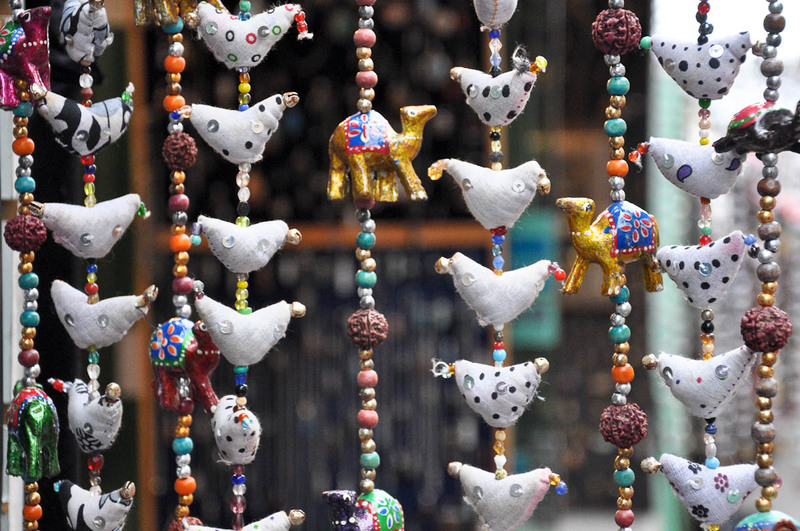 I learned a lot about people by observing the relationships between the stallholders and the behaviour of the market visitors. Most of the stallholders had been selling there for five, seven, ten years prior to my start. There was a little community there with its own expectations and rules. It was a very cool place to be and when you spent there a little longer, you delved beneath the surface and this is when the picture became full. On one hand, I met some really lovely people there. Young men and women who were creating their art and running their stalls and I could have a good chat with them and rely on them, too. You know, the general perception of a market trader quite often is of someone who is not that intelligent for he is running a stall instead of working in an office. Well, these people were a splendid proof that this is such a misconception. They were creative, full of ideas and just trying to bring their art to the public. They were supportive of one another, too. On the other hand, there was the other end of the spectrum. People who were there just for themselves. Most obviously, they were constantly preoccupied with money. 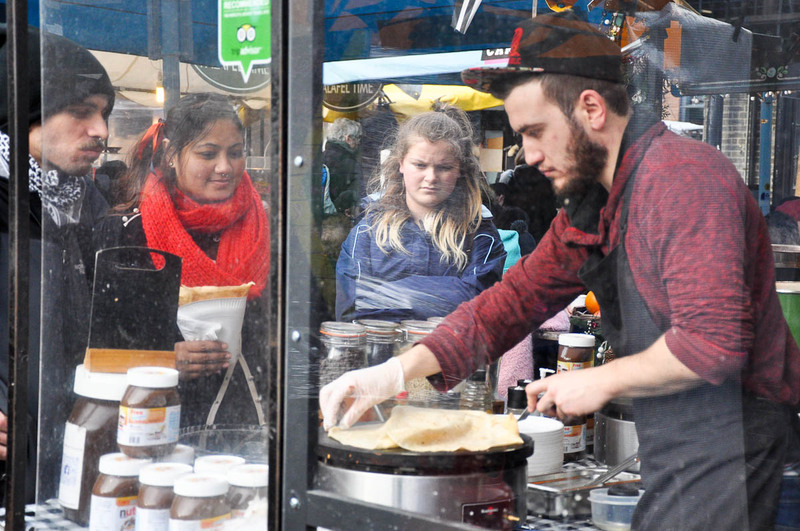 When I started my stall, the financial crunch had just hit us all. People didn’t have much of a disposable income and credit cards were maxed to the full. Some of the stallholders were constantly making comparisons about how much they used to earn before and how little they were earning then. There were so many stalls and so much stuff to sell, that people knew they had to be original in order to attract some interest. And there were shoplifters, too. I was targeted a couple of times, the worst being when a group of young girls, very well dressed and very smiley and nice, distracted me whilst their friend picked at least ten rings from my display before quickly walking off. I immediately realised what had happened and followed them. The ringleader (what an apt name!) managed to escape, but the market security detained a couple of her sidekicks. 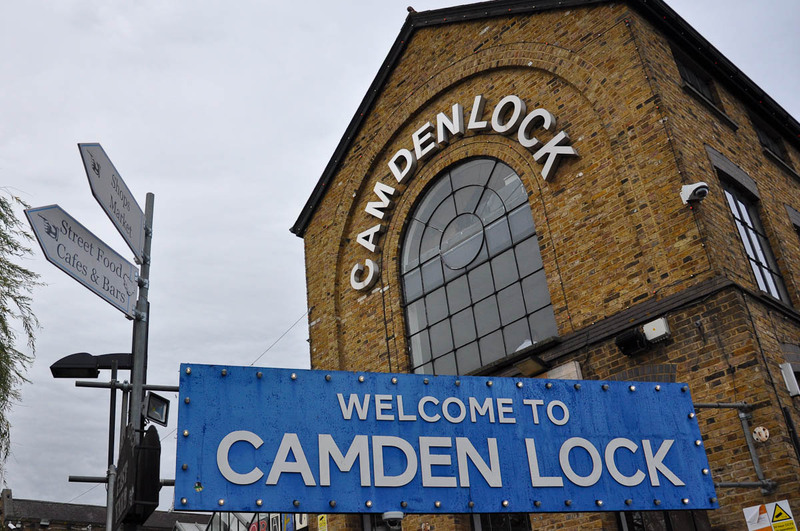 So, after spending every weekend at Camden Lock Market for two years, I finally realised that it wasn’t the right place for me. From the small things, like it was extremely cold in winter, to the big things, like I wanted some social life and some free weekends, it was all telling me that it was time to leave. My other projects had taken off in the meantime and it was clear that my jewellery business wasn’t going to be a tremendous success. So, that was that. It was a good life experience, nevertheless. And I can share with you what types of products sold best based on collective observations and gossip circulated through the market hall. This information is now ten years old, so take it at your own risk, but people were happy to spend money on things which made them laugh, solved a problem they had or – in the case of buying a present or a souvenir – looked original and more expensive than they were. 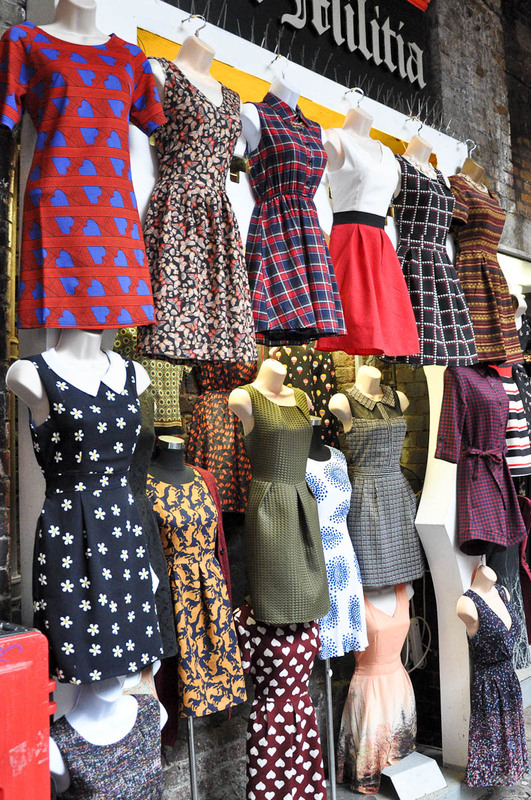 I have only been back to Camden Lock Market a couple of times since the demise of my stall. And, as I stand there on the penultimate day of 2015, I don’t see any of my old colleagues. 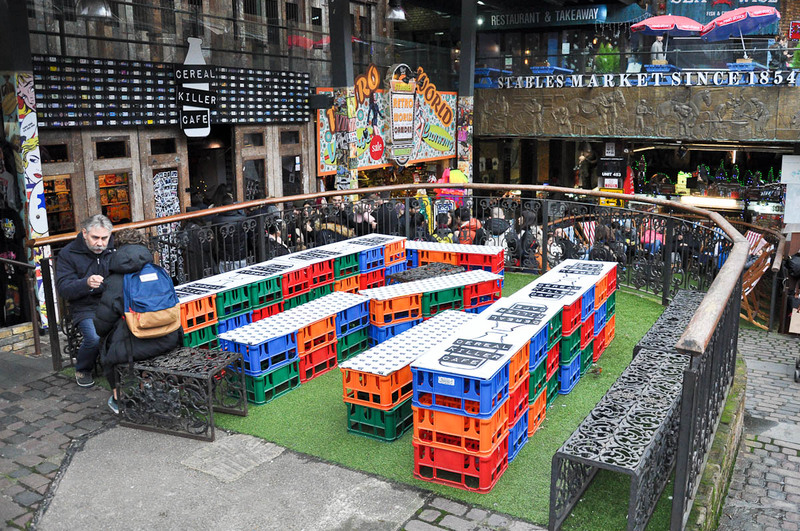 There is a completely new wave of stallholders and shops. Which is good. It means, time never stops and things change. 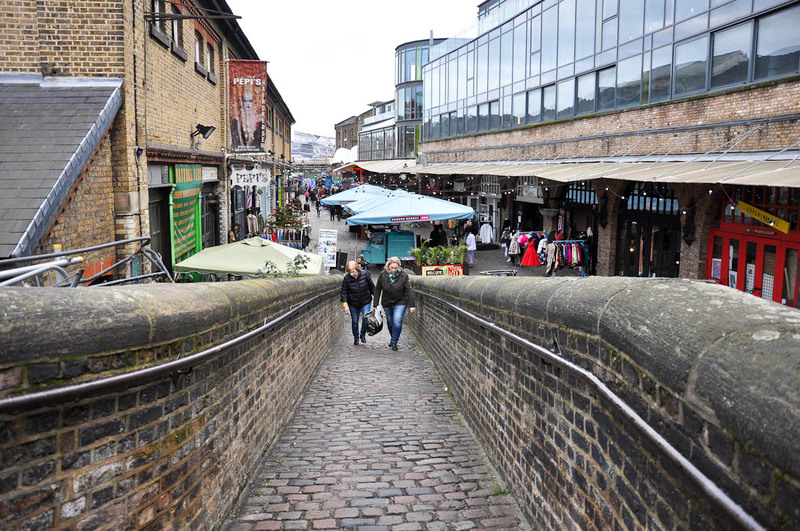 With a nostalgic moment successfully fulfilled, I walk outside and head to the adjacent Stables Market – a behemoth sprawled through a maze of buildings, old and new, plus some catacombs with Victorian brick arches dating back to 1854. Through them all are dotted large equine statues made of bronze. 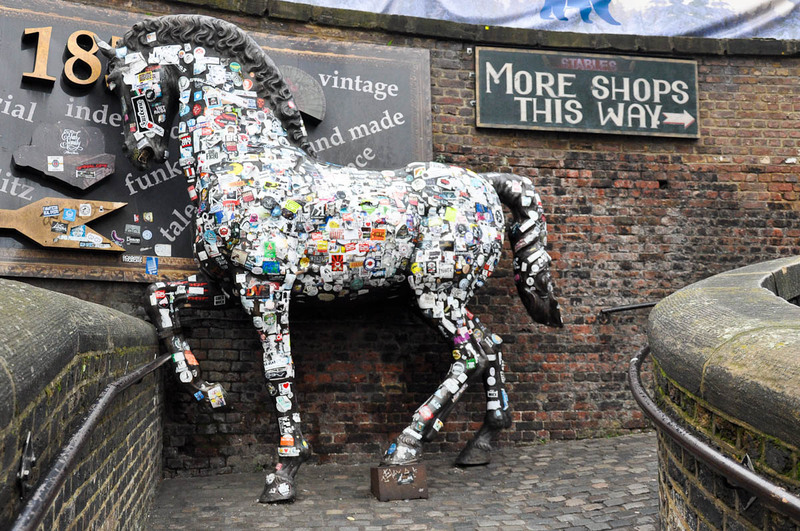 They are a reminder of the past purpose of this place, where the horses, used to drag barges and freight along the Regent’s Canal, used to be housed and taken care of. So, I just follow the different paths through this crazy place. First, the food lane with its Indian curries and Mexican burritos. 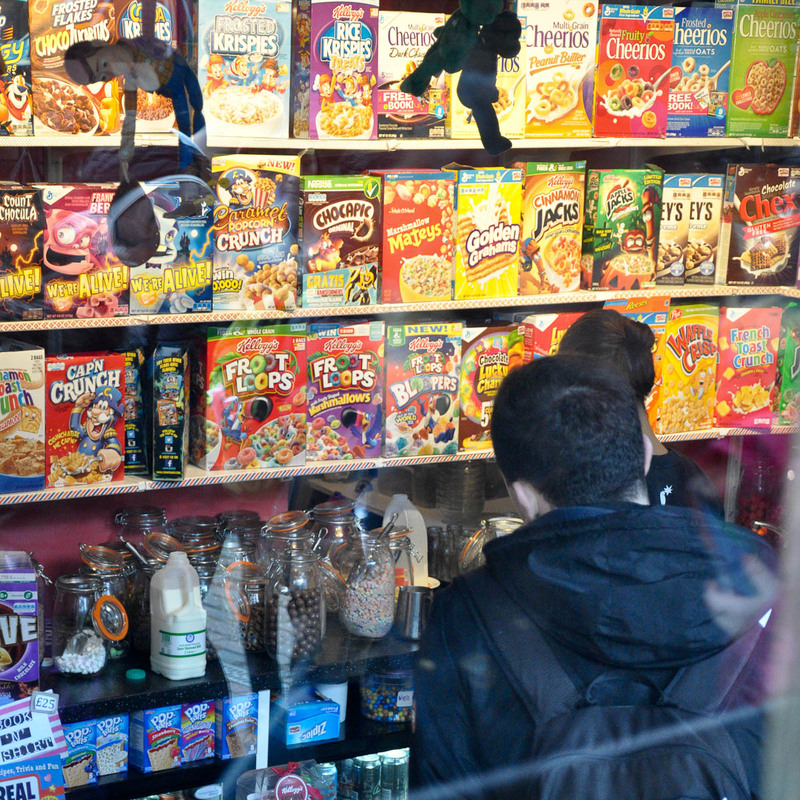 Then, I pass by the branch of the Cereal Killer Cafe and marvel at the huge queue in front of it. 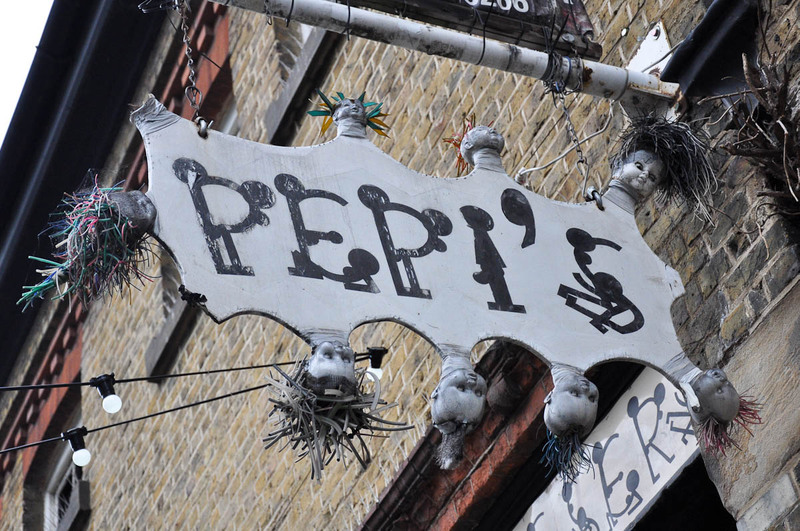 I remember reading quite a lot about this unique cafe when it first opened its doors on Brick Lane in London several years ago. Apparently it sells 120 varieties of cereal from all over the world and people can order a bowl of cereal at all times and not just for breakfast. 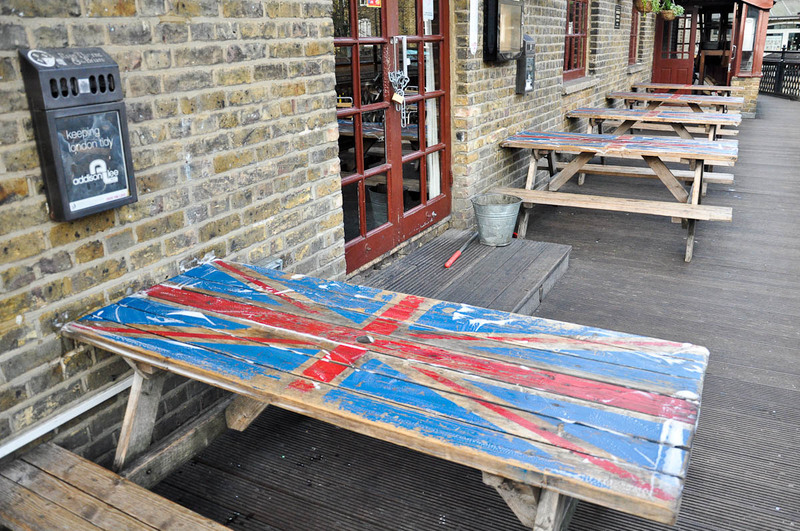 The cafe was in the news some months ago again, as it had been attacked in an anti-gentrification protest. At the time, I had found it quite stupid that people had the need to attack a small business which was just trying to make a living in a city which is otherwise full of chain eateries. 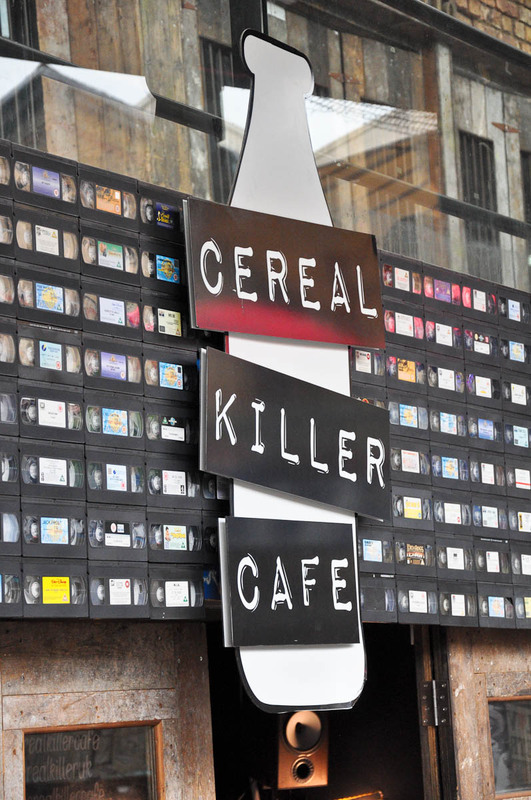 So, it is with a pleasant surprise that I see how popular the Cereal Killer Cafe seems to be as it has opened a second branch in the Stables Market in Camden Town. 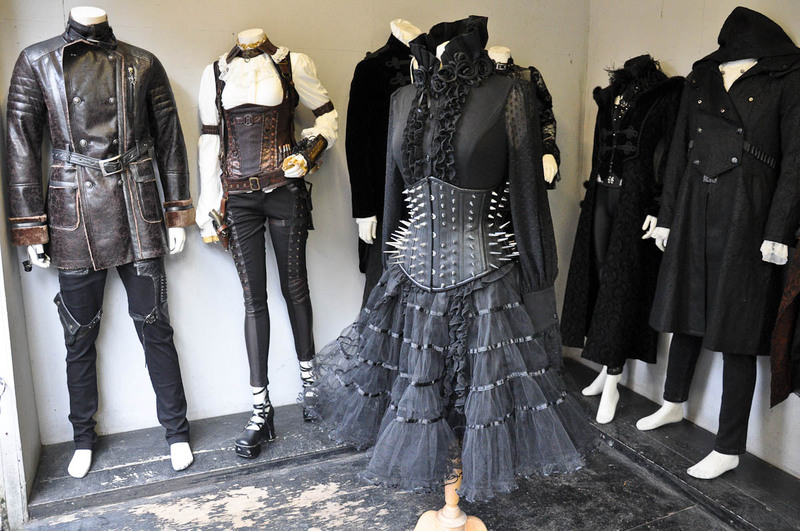 Along the way several goth and unconventional shops catch my eye. This very original hairdresser’s sign actually stops me in my tracks. It is not all alternative paradise though. There are quite a few retail spaces stocked with more everyday stuff. All in all though, it is a great place to lose myself in for an hour or so. And then, before I know it, it is time for me to move on. 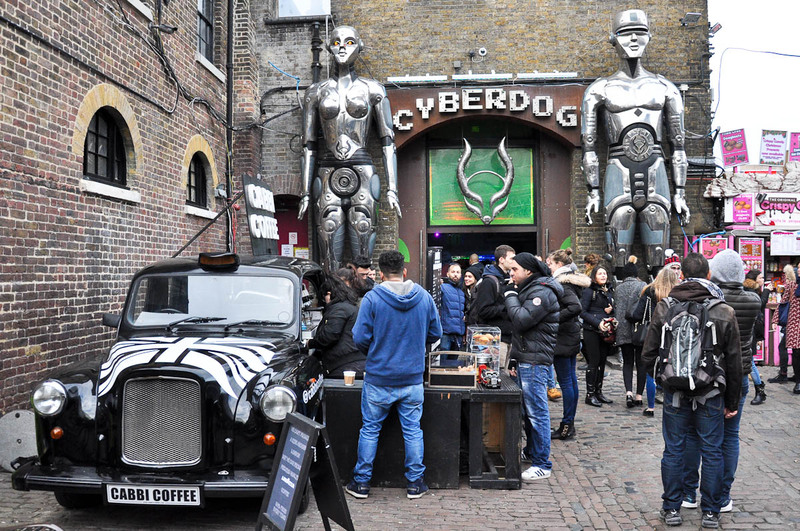 I have always loved Camden Town and on the penultimate day of 2015 it was really great to get re-acquainted with the most colourful, crazy and unexpected place in London and to rediscover its verve again.